Learn a few methods of how to get your data from RavenDB 3.5 into RavenDB 4.0 whether you're doing a one-time operation or a long process. 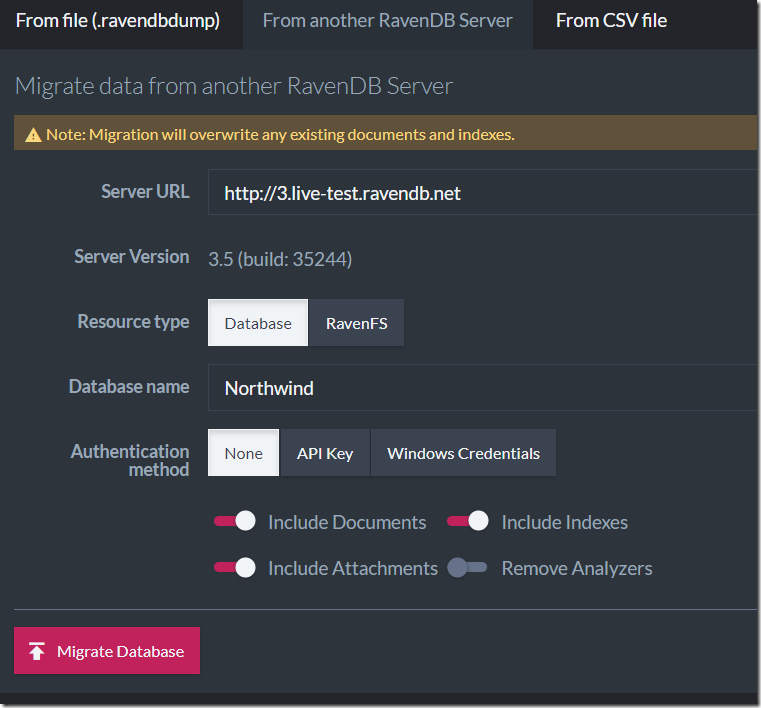 One of the first steps you’ll have when migrating RavenDB from 3.5 to 4.0 is to actually get your data in 4.0. There are a few ways of doing that. 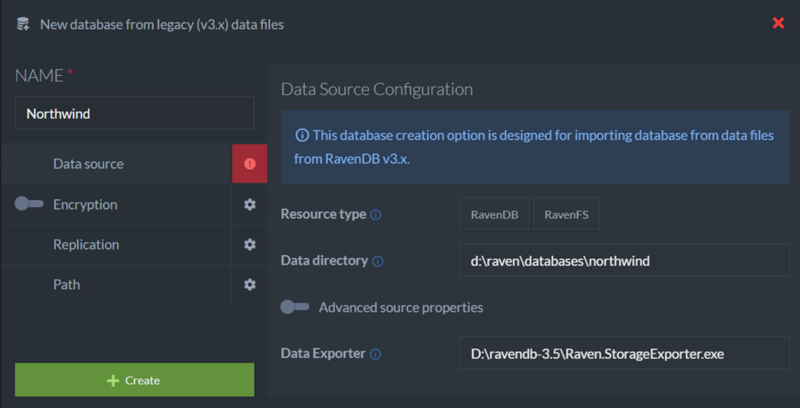 This will give you the following screen, where you can point to the existing database directory (the RavenDB 3.5 server must be offline for this) and the Raven.StorageExporter tool that comes with the 3.5 distribution. RavenDB 4.0 will then create your database and import all the data from the existing database to the new one. This works great if you are doing this is a one-time operation, but in many cases, the migration process is a long one. You’ll start by migrating your code, and it will take one or two iterations to complete the full process. To handle that scenario, you’ll create a new database on 4.0 normally, then go to Settings > Import and select Importing from another database. In this mode, the 3.5 server is online and running. 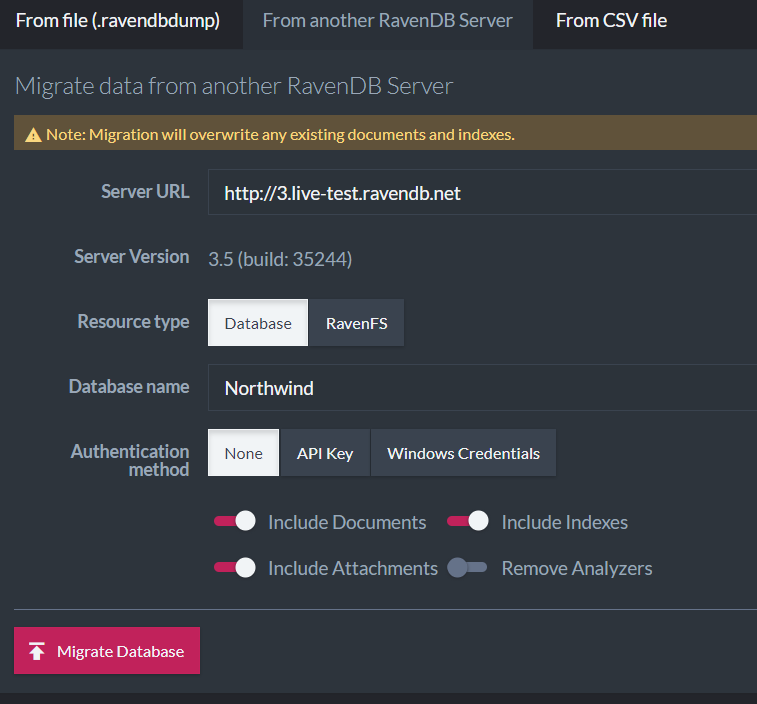 You’ll provide the details of the server and database and then click on Migrate Database, as you can see in the picture. This will import all the data from the existing database to the new database. This can be an ongoing process. Once this is done, you can migrate your application code to use RavenDB 4.0 and at deployment time, you’ll run this again. Each time you run this migration, it will get only the updated data from the source server — it doesn’t have to read it all from scratch. Graphs in RavenDB: What’s the Role of the Middle Man?